The Wow! Gorillas project was organised by Bristol Zoo as part of their 175 year anniversary celebrations, to raise money and awareness of the conservation projects they are involved with. 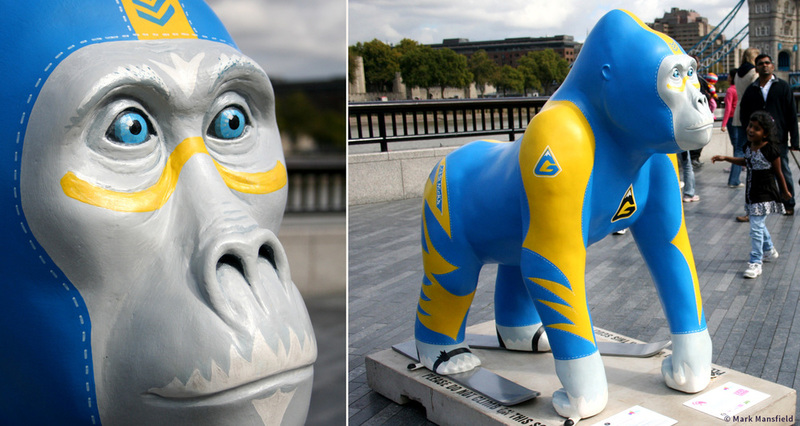 60 life-size gorilla sculptures were placed around Bristol for 12 weeks over the summer of 2011, each having been designed and painted by a local artist. My design - Super G, Downhill Racer - spent the summer at St Nicholas Market, Corn Street. 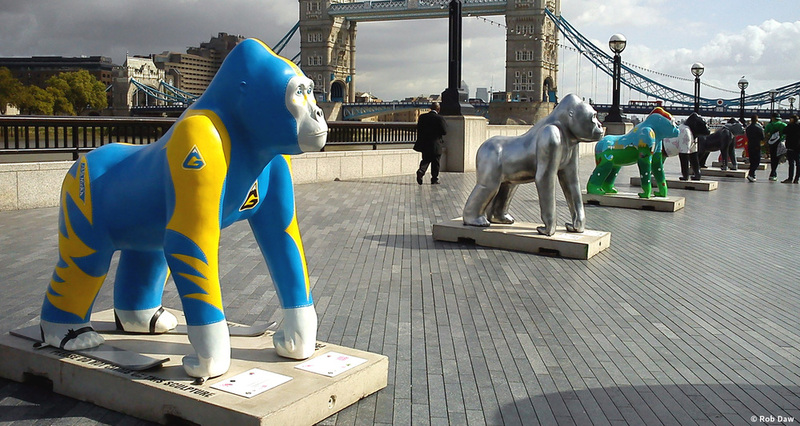 He was also transported to London for a 'profile raising' week with some of the other Gorillas before the charity auction took place in early september. This was an amazing project to be a part of and unlike anything else I had worked on previously. A massive learning experience which has since led to me being involved in other similar projects. Super G was bought at the auction by a trio of partners, including Bristol City Council members and the traders of St Nic's - he has returned to the market to remain on public display.